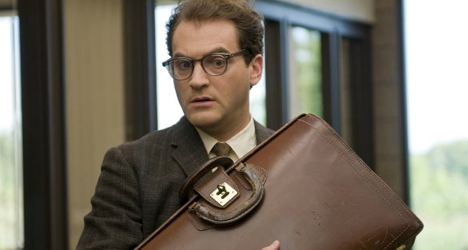 Michael Stuhlbarg stars as college physics professor Larry Gopnik in "A Serious Man." In “A Serious Man,” the Coens feature their most defeated film character in Larry Gopnik (Michael Stuhlbarg), a Jewish physics professor who’d feel on top of the world if he could just make it back to rock bottom. It’s almost as if Larry is cursed. The film’s opening scene, which is set in 19th century Eastern Europe, supports that idea as we see a Polish couple invite what may or may not be a “dybbuk” into their home for soup. A dybbuk is a harmful spirit in Jewish folklore. While the Coens leave the fate of those characters to interpretation, Larry appears to have met his fair share of dybbuks in his lifetime. Set in 1967, he is disrespected by his soon-to-be bar mitzvahed son (Aaron Wolf), who smokes marijuana and listens to Jefferson Airplane, and his ungrateful daughter (Jessica McManus), who is saving money for a nose job. Larry’s troubles start at home but hemorrhage into his work environment. Along with an aggravated wife (Sari Lennick) pushing for a divorce so she can marrying family friend Sy Ableman (Fred Melamed) and a slouchy brother (Richard Kind) camping out on his couch and spending most of his time in the bathroom draining the cyst on the back of his neck, Larry’s job also has him wound in knots. One of his students is trying to bribe him for a passing grade and someone has been sending defaming letters about him to the panel in charge of granting him tenure. Slowly but surely, everything Larry has worked for is being pulled away from him. Despite his problems, Larry is determined to get his life together and to be taken seriously. His longsuffering disposition, however, tells a different story. Larry is pushed around by everyone and accepts it as second nature. His only hope is to find spiritual guidance by setting an appointment to speak to an always-occupied senior rabbi. 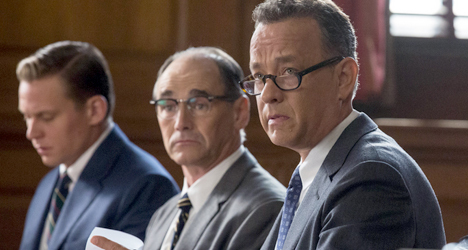 “A Serious Man” is an obscure piece of work that very well may be the most provocative film to hit theaters this year. While it is painfully funny, the Coen brothers have also conjured up some uncomfortable questions about faith and religion and dragged them into an unremorseful parable that’s sure to ruffle the feathers of all God-fearing men. 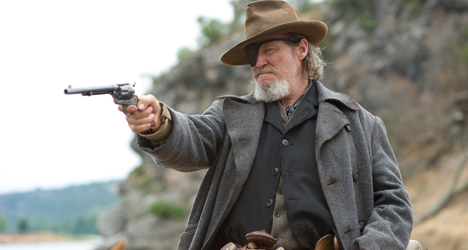 In Coen fashion, the duo controls the film in every aspect. They allow you to see only what they feel is vital. While they may shroud the surface, the emotional intensity still penetrates through each character and scene in both aggravating and mesmerizing ways. One could almost see the Coens winking at each other during the making of “A Serious Man.” It’s all so outrageous, yet so personal. It’s the type of film that will have you talking about it long after the credits roll. Why do bad thing happen to good people? 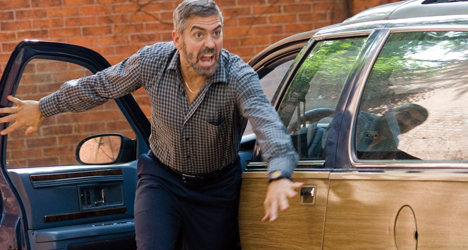 The Coens might not offer answers, but enlightenment is overrated. For them, it’s the tormenting that conveys the most though-provoking ideas about man’s place in the world.